Passes virucidal effectiveness test against canine parvovirus at a dilution of 1-35 in water. 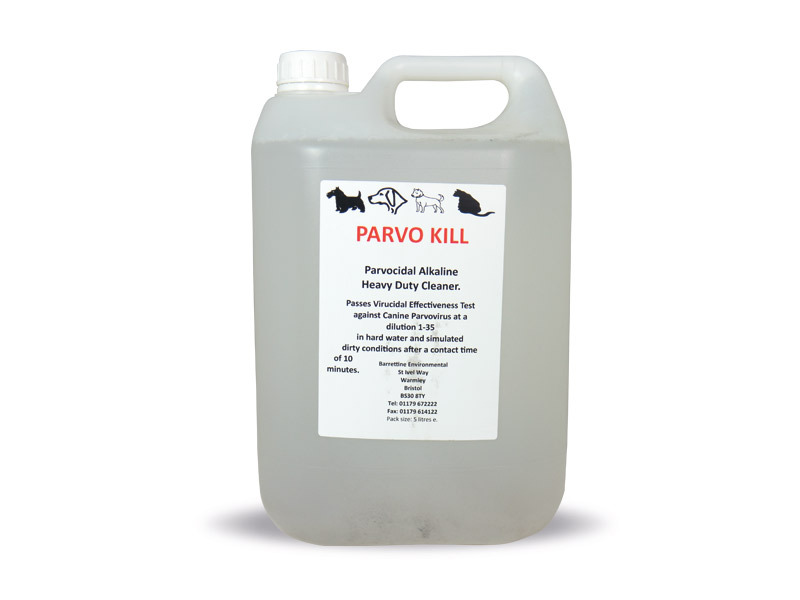 Parvo-Kill has been formulated to be a true dual purpose product for cleaning and disinfecting high risk areas. It can also be used for general cleaning and disinfecting of hard surfaces eg sinks, worktops & pre/post animal housing at a rate of 1-100 in water.